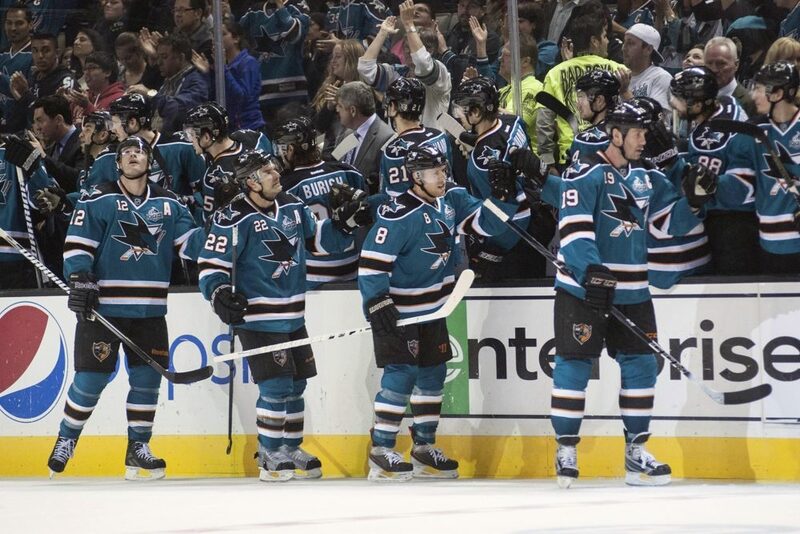 From 2010-11 through 2012-13, the San Jose Sharks power-play finished second, second, and seventh overall. If you want to go back even further, they ranked third in 2008-09, and fourth in 2009-10. It is consistently a top-five unit. That is until last season when the bottom fell out and they finished 20th overall with a 17% success rate. So what changed last season? It’s simple, Dan Boyle was no longer the same Dan Boyle after suffering this hit. From 2008-09 through 2012-13, Boyle was as dominant of a power-play quarterback as there was in the NHL. Last season was a major struggle for the former Team Canada member. While he did manage a solid 18 power-play points, his passes were frequently getting deflected or intercepted. He would bobble pucks that he normally would settle with ease. At even strength, it was his worst season by far out of his six years with San Jose. In his first five, he never finished below a plus-2 rating, and overall was a plus-27 over five seasons. Last season? Minus-8. His 36 points were also his lowest full season total as a Shark, 12 fewer than his next lowest total of 48. The other members of last year’s power-play, Joe Thornton, Logan Couture, Patrick Marleau, and Joe Pavelski all had their typical seasons or even career years offensively. With Boyle now a New York Ranger, the much younger and more dynamic Brent Burns was the obvious choice to replace Boyle on the top unit. 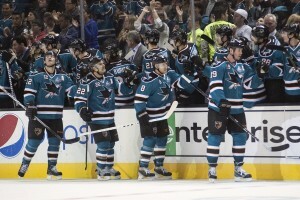 However, the Sharks didn’t start out this way. In fact they started the season with relatively odd units. In the first couple games, the Sharks went with their top line of Tomas Hertl, Thornton, and Pavelski with Marc-Edouard Vlasic and Burns on one unit, and then their second line of Marleau, Couture, and Matt Nieto with Jason Demers and Mirco Mueller on the second unit. Not shockingly these units struggled, as the power-play went 0-8 in the home opener against the Winnipeg Jets. Overall through the first three games the Sharks power-play went 2-15. Since the “Fab Five” of Thornton, Marleau, Pavelski, Couture, and Burns have come together as the top unit, they are three for five over the last two games. They are scoring fast and furious, hardly giving the second unit a chance to get out there. This top unit looks poised to stay together for awhile. While Burns is playing defense again, he was a top tier power forward the previous 1.3 seasons. Therefore, in actuality the Sharks top unit is really five of the most lethal forwards in the NHL. Just think about that for a moment. Marleau and Couture are consistent 30 goal scorers, Thornton was second in the league in assists last season, Pavelski scored 40 goals last year (while also being a underrated set-up man) and finally there is Burns who only needs a fraction of the time and space most big shooters need to release howitzers from the blue-line. The Boyle led Sharks power-plays were phenomenal, and in his prime Boyle was a better set-up man/traditional power-play quarterback than Burns is now. However, Boyle didn’t bring a heavy shot. Burns on the other hand has an absolute cannon. He gives an already lethal power play a new weapon to utilize. While zone entries without Boyle might still be a work in progress, once established in the zone, you could argue this power-play is even better with Burns. Obviously they won’t continue to score at 60% clip, but it is a high probability that this year’s Sharks power-play has another top-5 finish. They’re showing their teeth again, and it’s a scary sight for opposing penalty killers.